Guayaquil Day is an Ecuadorian holiday celebrated on July 24. It is a regional holiday that has an official status in the country’s largest city Santiago de Guayaquil, commonly known as simply Guayaquil. Guayaquil is Ecuador’s largest and most populous city, with a population of about 2.69 million people in the metropolitan area. The exact date of its foundation is unknown but the city is officially recognized by the government as having been founded in July 1538 by Spanish conquistador Francisco de Orellana. However, there had been a native village in its place even before the Spanish founded their settlement. Guayaquil played an important role in the Spanish American wars of independence. It was here that Simon Bolivar and Jose de San Martin held the famous Guayaquil Conference that took place on July 26, 1822. During the conference, they discussed the future of Peru and other former Spanish colonies. Although the two leaders failed to reach an agreement, the conference is considered an important milestone in the history of Ecuador, Peru and Venezuela. 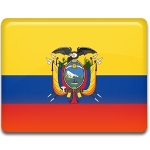 Guayaquil Foundation Day, also known as Guayaquil Day, is an official holiday in Ecuador. However, it is a regional observance rather than a national one. Guayaquil Day must not be confused with Guayaquil Independence Day, a national holiday that commemorates the beginning of the Ecuadorian War of Independence.